Meanwhile, heat the oil in a large fry pan. Sauté chicken until cooked. Remove from pan. Place broccoli, cherry tomatoes and olives into the pan and stir fry until softened for approximately 4 minutes. Return the chicken to the pan. 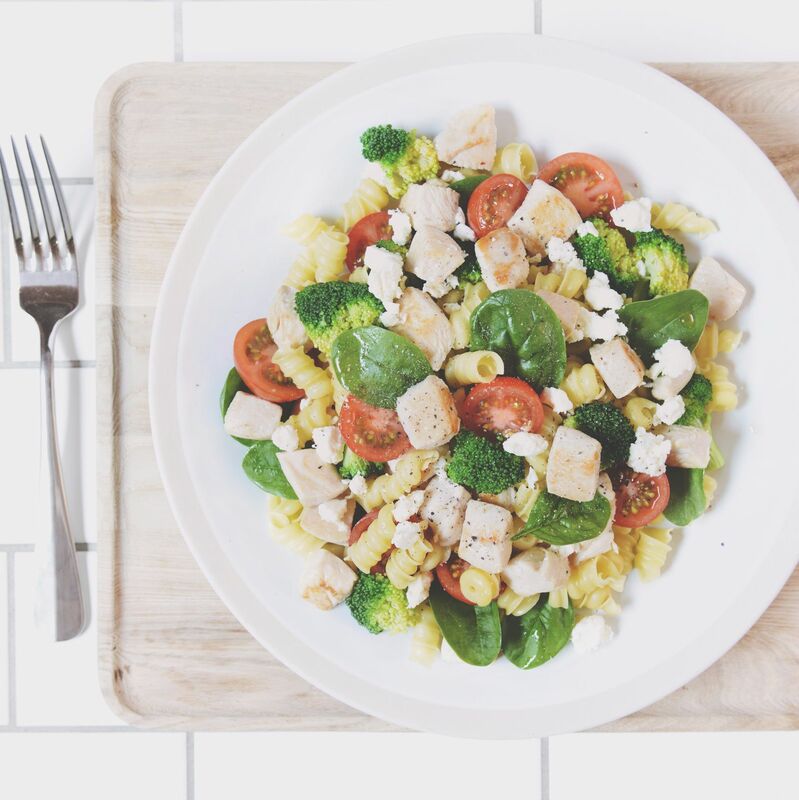 Drain the pasta and add to the chicken and broccoli. Stir in spinach leaves, feta and vinegar. Season well.